One of the most common questions that I get asked is "Is this normal?" and often the answer is, "Yes." It can be tricky to determine when a piercing is healed and often piercings can trick one into think that they are healed or there is a problem. So in this blog, I figured I would go through the three stages that a piercing goes through. A Body Piercing will go through three main stages of healing. The first is the Acceptance Stage or inflammatory phase, the second is the Healing Stage and the third is the Seasoning Stage. During each, the piercing will act and look different. When we talk about a piercing healing or Aftercare instructions we are focused on the first two where the piercing is more prone to infection or other issues. This stage will usually last anywhere from a few days to few weeks depending on the piercing and the piercee's health. Immediately after the piercing is done the body goes to work at sealing the wound and beginning the process of creating new tissue. To do this the Blood will first clot around the piercing holes and the jewelry. Then the red blood cells will help to create tough white fibers called collagen which is the bases of new skin growth. Unlike normal cut, the body is unable to seal the wound due to the jewelry. The body wants to start the process of filling the wound with granulation tissue but is unable to. So, the body will do whatever it can to reject the foreign object aka jewelry. This will include the inflammation or swelling to force the object out and will give the wearer every possible sign that they need to remove the object and allow it to fill in the wound and heal it. These signs will include pain or tenderness, especially when touched, bleeding, redness and the area being warm. During this stage, the body will begin to produce the fistula which is a tunnel or tube of scar tissue for each piercing hole edge until it connects in the center. During this phase, the piercing may seem normal and not show signs of being an open wound. For example, it will no longer be tender to the touch, be inflamed or bleed. However, it is far from being a sealed wound and is acceptable for infections. While the fistula is being formed, a clear to a yellowish discharge of lymph, plasma, waste and dead cells will discharge and then harden and collect around each piercing hole. This is a good sign that your body is producing new scar tissue. Also, the piercing may tighten and loosen as rings of new scar tissue is formed around the jewelry. Moving the jewelry or forcing the jewelry through the piercing during this period can cause the fistula to be dislodged. Also, it is not uncommon for the piercing to go through "grumpy stages" where the piercing is sore, tender or the discharge is heavier. Some piercings are more prone to this them others but it is usually a sign that the piercing has experienced some form of trauma and extra care needs to be taken. Care and precautions will need to be taken throughout this stage to ensure that the piercing doesn't become infected or have other issues. This will involve a cleaning routine and soaks or compresses along with limiting contact with the piercing and abstaining from activities that might contaminate the piercing. The end of the Proliferative phase is usually marked by the discharge stopping and the edges of the piercing holes pulling inward as the two fistula tunnels connect in the center of the piercing. During this final stage, the fistula walls will begin to thicken and expand. 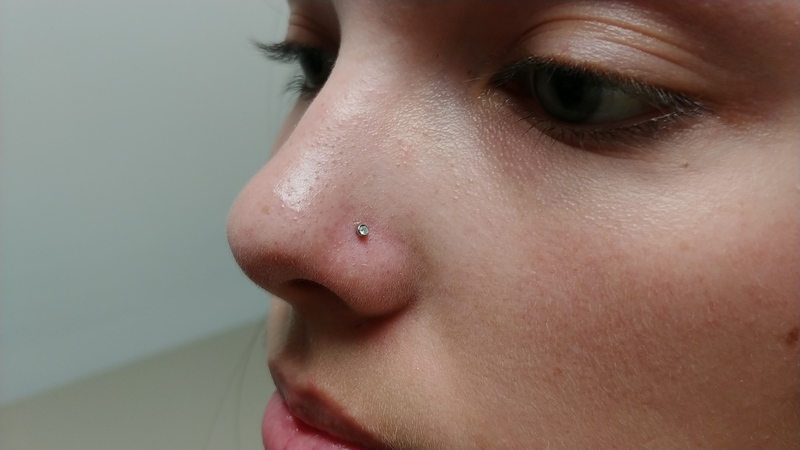 This will not only decrease the risk of damage to the piercing but also reduce the likelihood of the piercing closing quickly if the jewelry is removed for a period of time. This stage can take a few months or a few years depending on the piercing, the piercing's location and the health of the piercee. A couple of words of warning, even if the piercing is well seasoned and healthy, that doesn't mean it will not close when you remove the jewelry. Some piercings are more prone to closing than others, for example, oral piercings that can begin to close in a matter of a few hours. Also, stretching piercings before the seasoning is completed will increase the risk to dislodging, tearing and/or damaging the piercing. Ideally, a piercing shouldn't be stretched until the jewelry moves freely and the fistula is noticeably larger than then the jewelry. In closing, I thought I should explain how a piercing closes. Once the jewelry is removed, the body will begin to re-join the fistula scar tissue. Usually, this is toward the center of the tunnel and why the piercing will look open but the jewelry will stop half though and refuse to go any further. Once the fustula is connected, the body begins to produce tissue to fill in the tunnel. It is why it's important to leave jewelry in piercings.